Major corporations need access to new ideas and technologies to feed their innovation processes. Small firms are significant generators of innovation but are typically resource constrained. Bringing together small and large companies in mutually beneficial partnerships harnesses the speed, entrepreneurship and innovative capacity of small firms to feed the channels, brands and resources of the large company, creating new value for consumers they could not deliver alone. 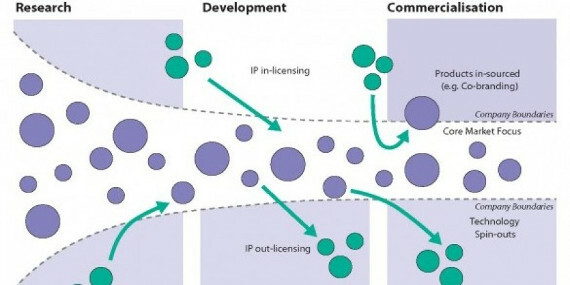 Open innovation can facilitate this – it is a strategy by which companies allow a flow of knowledge across their boundaries as they seek to enhance their innovation capability. Dominic Oughton, Principal Industrial Fellow at IfM Education and Consultancy Services (IfM ECS), discusses the importance of encouraging and embracing open innovation in the FMCG industry in an article in the October/November 2013 issue of FMCG News. Read the full article here (first page and second page).